A political crisis erupted in Ukraine in November 2013, when the country’s authorities announced a halt to the country’s European integration process. The so-called Euromaidan protests began in Kiev’s central square (Maidan Nezalezhnosti) and soon spread across the country. Following a February coup in Kiev, residents of the eastern Donetsk and Luhansk regions established people’s republics that later declared their independence. 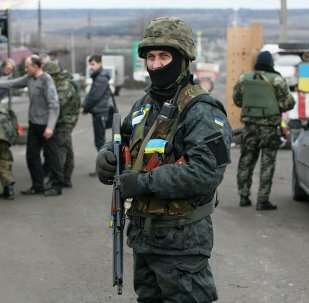 The crisis escalated further when Kiev authorities launched a military operation against the independence supporters in mid-April. The conflicting sides reached a ceasefire agreement at a September 5 meeting in Minsk of the trilateral Contact Group on Ukraine, which comprises representatives from Ukraine, the Organization for Security and Co-operation in Ukraine (OSCE) and Russia. A memorandum specifying the implementation of the ceasefire was adopted at another Contact Group meeting on September 19. However, both sides have subsequently accused each other of violating the truce. Ukraine may be on its way to peace, as the Verkhovna Rada is working on the country’s decentralization process, Le Huffington Post reported. According to the Kiev military operation's press center, 27 drones were seen flying over the area monitoring the position of the troops. The breaches left three independence supporters dead and injured five others, according to Eduard Basurin, Militia Commander of the self-proclaimed Donetsk People’s Republic. Recruitment efforts, aimed at attracting young people to the notorious Kiev-controlled battalions, resemble those of the Third Reich during its last days, according to the Nations Presse magazine. 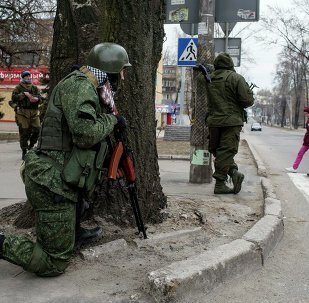 Almost 80 percent of people living in Lugansk People's Republic (LPR) consider Kiev's military operation in Ukraine's southeast aggression against its own citizens, Lugansk Information Center said Saturday citing a poll. An Emergencies Ministry official announced that Russia’s 14th humanitarian aid convoy had left for southeastern Ukraine. On Saturday, the Donetsk People's Republic will form a working group for the realization of the Minsk agreements. 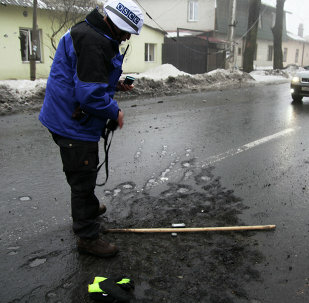 The team members will coordinate their efforts with the OSCE. 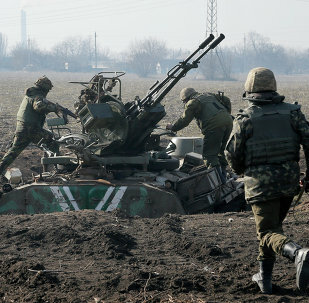 The envoy of the self-proclaimed Donetsk People's Republic to the Contact Group talks said Donetsk forces were currently acting in accordance with the new Minsk deal, but was ready to "make appropriate conclusion." The sister of the leader of Ukraine's Radical Party, Victoria, is fighting on the side of Donbas independence supporters. Parliament speaker of the self-proclaimed Donetsk People's Republic Andrei Purgin said the people's republics in Donbas were against continuing fighting in the region and needed peace to bring people's lives back to normal. Advisor to the Minister of Internal Affairs of Ukraine Zorian Shkiryak expressed his hope that the new US Secretary of Defense will be persistent in his push for lethal US aid to Ukraine on his Facebook page. The Russian Commissioner for Children's Rights, Pavel Astakhov reported that six children from the conflict-torn southeastern Ukraine (Donbas) who need urgent medical assistance and surgery would be transferred to Moscow. Former US Ambassador to the United Nations John Bolton stated that the OSCE reports on the absence of Russian military in Ukraine were questionable. According to the G7 statement, released by the White House on Friday, Ukraine’s new financial aid package from the International Monetary Fund (IMF) includes a bold roadmap for assisting Kiev implement much needed economic, legal and democratic reforms. Former US ambassador to the United Nations John Bolton said that the Ukrainian government faces risk of destabilization from outside force and internal dissent. 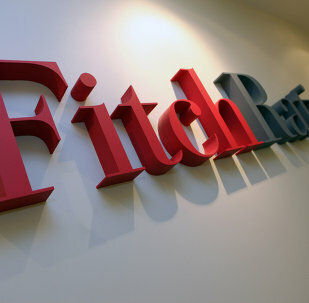 The rating agency Fitch downgraded Ukraine’s long-term foreign currency IDR (Issuer Default Rating) from CCC to CC due to a probable default and deteriorating creditworthiness. 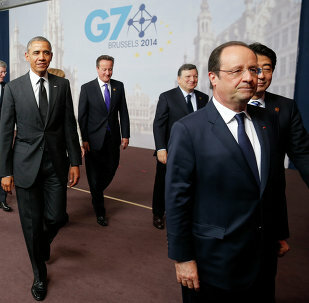 The G7 stated on Friday that the leaders of Canada, France, Germany, Italy, Japan, the United Kingdom, the United States would implement new measures against violators of the Minsk declaration. The OSCE stated that the OSCE Special Monitoring Mission stands ready to monitor the implementation of a ceasefire in Ukraine, starting at midnight on February 15, to ensure the implementation of the Minsk peace agreements. 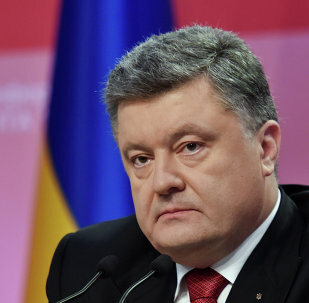 According to a statement of Ukrainian President Petro Poroshenko, he would demand an emergency meeting of the European Council, if bilateral ceasefire is not implemented in eastern Ukraine on Sunday.